When you’re shopping for a car in Chantilly, it might be a good idea to explore a used one. At Autoline, we can show you some of the great deals to be had on the used cars. Your money is going to go a lot further on a used car. If you can only buy the base model for a new car, you miss out on the leather trim and all of the bells and whistles. Used cars are cheaper to begin with, allowing you to get more of what you want. Many used cars still have a warranty on them. You can get the protection you need so that your car will last a long time. Low mileage is found on a number of older cars, too. 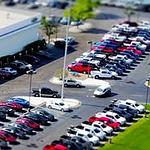 Visit us today to see some of the used cars we have in our lot.